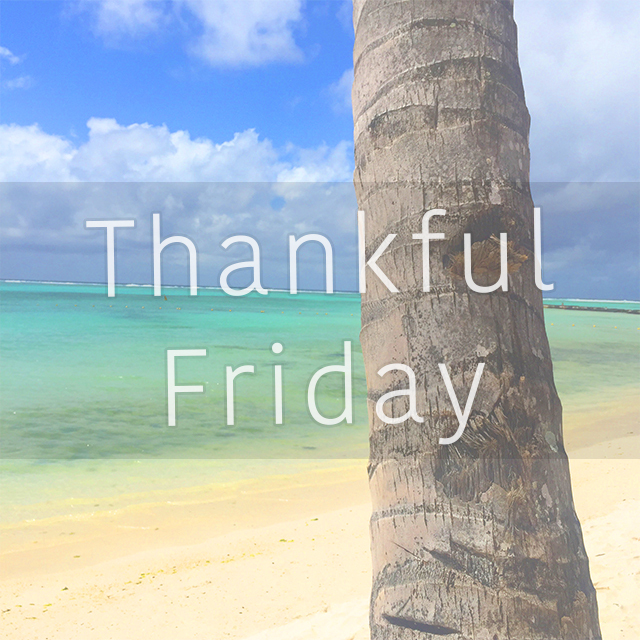 In a bid to be more reflective on the positive side of life I have decided to start up this 'Thankful Friday' blog post which I am hoping will keep me on track with reflecting on the positives from my week. It will also serve as a gentle reminder of everything I have to be grateful for in life! I, like anyone else, can often find myself dwelling on the negatives, the things that might have gone wrong or the things I feel most unhappy about. I used to try and write my daily positives down in my notebook every evening before going to bed but I found it really difficult to keep up the habit and remember to do it every night. Hopefully featuring my list as part of my blog will enable me to remember, reflect and be thankful for the little things that matter the most in life. I got myself back to the gym after a 2 week break - which is always a difficult task! I was lacking in motivation and fearful about how unfit I would feel after my holiday. But in reality it wasn't that bad at all and I felt great for exercising again. I managed to secure myself a ticket to the Lucky Dip Club subscriber event in November. Tickets were really limited so I was very lucky to get one! Walking my doggies! It really is one of my favourite parts of my day. It's time away from any stresses and a time to chat to Mr K and play with our fur babies. A walk and fresh air really can do wonders for your wellbeing. One of my best friends who moved away to Mexico for a few years is currently back home and we spent a lovely day together this week catching up. I've started up a new crochet project this week and I am planning to make a big contemporary granny square throw for my living room. I've worked out that I need to make at least 100 granny squares and I have no idea how long this will take me but I really love to have an ongoing project which I can pick up and put down when I feel like it. And how gorgeous are these colours! As planned I've started some new lifestyle posts on the blog including 'Pinch Punch October', 'Wednesday Wish List' and this 'Thankful Friday' post. I hope my regular readers enjoy more of an insight into my life along with the usual Vegan and cruelty free posts. All week i've been excited about VegFest tomorrow and so looking forward to going along and picking up lots of treats. I'm also going haul prepared this year with my trolley shopping bag! It's actually quite amazing how different you can feel about your week once you have written down all the positives from it. Prior to writing this post I would have said to you that i've had a pretty average, if not bad in places, week at best! I haven't been feeling too well in myself and a lot of plans have had to go on hold. However, I now feel different about my week and, even though I may not feel it at the time, I am achieving things and having some fun along the way.